If you’re thinking of buying a tutoring business, but aren’t sure if Tutor Doctor is right for you, let our story of why our education franchise is the fastest growing in-home tutoring business on the market help you decide. Ten years ago, parents were expected to play taxi driver and haul their children who needed tutoring help across town, where they would sit in yet another classroom-type setting. Never mind that these kids were struggling because of the classroom setting. Never mind that the family had to break up their time at home, so Sally could get the help she needed. Never mind that the families’ bank accounts dwindled because of the expensive, inconvenient tutoring franchises that were out there. It occurred to us that the biggest way we could help these struggling students was to make it as easy on them as we made it on their parents. We met students in their homes, on their schedules, and priced it so that not only wealthy families could afford the educational advantage tutoring offered. In 2003, when we saw how successful our in-home tutoring business was working for us, we turned to franchising to give students across the globe a fighting chance at success. We worked tirelessly to figure out a way to give business owners who were interested in making a difference in the lives of children and their families a means to do just that, without actually being a tutor themselves. Today, we have over 640 offices in 15 countries. And each tutor recruited by the franchisee goes out into the field and gives a FREE consultation to evaluate the possible tutor/student relationship, to build a personalized map for the student’s success, and to help educate the parents on how Tutor Doctor works. Because this approach is so powerful, 95% of our costumers recommend us, making our tutoring franchise model one of the most successful and fastest-growing education franchises on the market. And because we don’t build brick and mortar classrooms for students to sit in, and because there’s very little overhead, our in-home tutoring franchisees are some of the most profitable franchisees you’ll find. 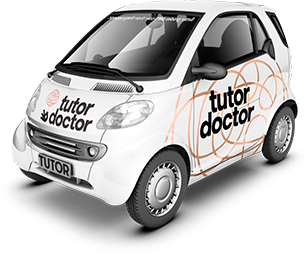 WANT TO LEARN MORE ABOUT THE OPPORTUNITY FOR A TUTOR DOCTOR FRANCHISE?